66% merino wool, 34% nylon. Made in England. 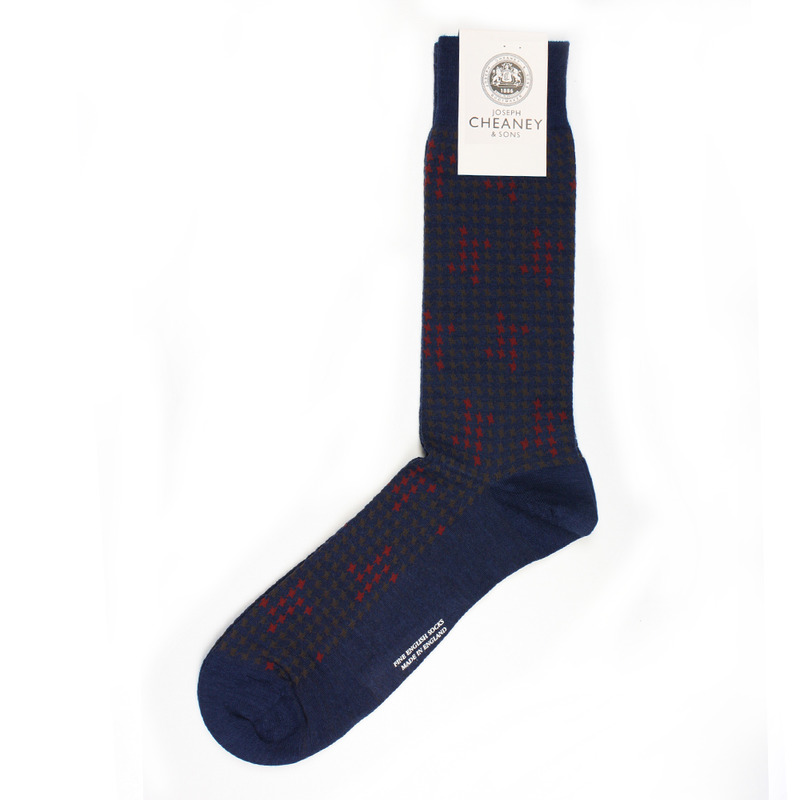 The Hopton, Houndstooth Highlight, Merino Wool socks are part of Pantherella's Modern Collection that sees bold designs and modern colour palettes take the stage.